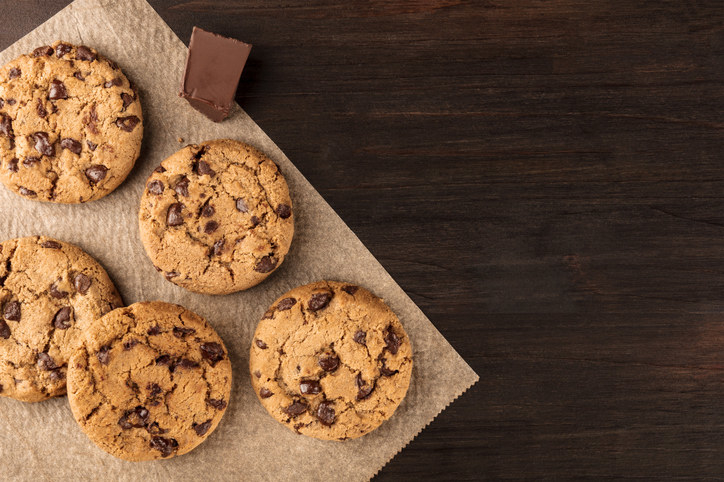 When it comes to gluten-free baking, cookies can be a challenge. Sometimes they turn out gummy, sometimes they’re too crumbly — it’s not easy to get them right! 1. First things first, make sure to check all of your ingredients before baking with them to make sure they’re actually gluten-free. A lot of processed foods contain hidden gluten from manufacturing, and something as seemingly harmless as vanilla extract or baking chocolate might contain gluten. So if you can’t have gluten or are simply avoiding it, just remember to always check the packaging before buying. Binding agents (such as xanthan gum, guar gum, or flax) help give gluten-free baked goods the elasticity needed to create structure — so if your favorite gluten-free flour mix doesn’t contain one, you’ll probably want to add one. According to King Arthur Flour, if a binding agent is not listed as an ingredient in your gluten-free flour, all you have to do is add 1/4 teaspoon xanthan gum for every cup of gluten-free flour. This is just a bit of added insurance that your gluten-free cookies won’t turn out too crumbly. Standard cookie dough can develop too much gluten if overworked — but with gluten-free cookie dough, you don’t need to worry about that. After adding your dry ingredients, mix the dough for a few minutes (instead of just until combined). This will help the dough develop a bit more structure and get rid of any gritty texture from unincorporated ingredients. After all, you can’t develop too much gluten if there’s no gluten to begin with. 5. And refrigerate the dough if it’s too sticky. Gluten-free cookie dough is stickier than standard cookie dough, but chilling it can help. This is because cold dough is less sticky, and it doesn’t spread as easily, too. If you’re making a gluten-free cookie recipe that you don’t want to spread too much (like crinkle cookies), make sure to chill the dough before baking it. Gluten-free baked goods can have a crumbly texture and fall apart easier than their gluten-rich counterparts. One way to prevent them from falling apart is to simply scoop the cookies smaller. The smaller sized cookies will hold together better and have less of a chance of crumbling. 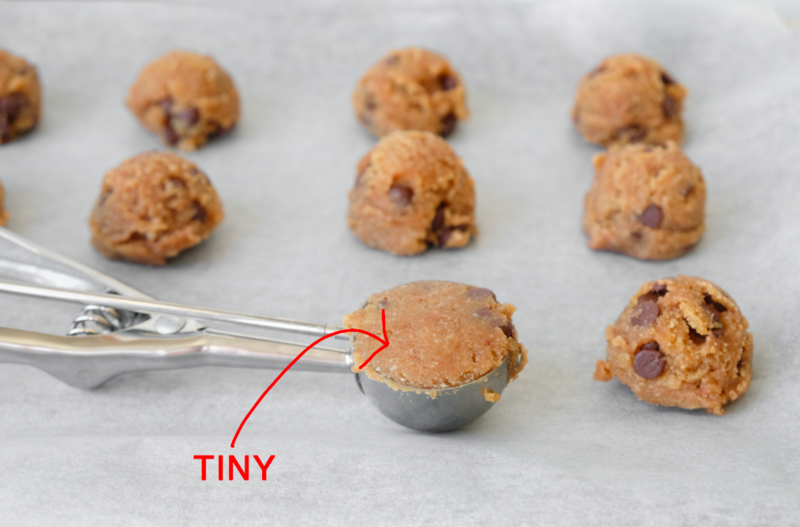 So, if you’re used to portioning out your cookie dough using three tablespoons of dough, try reducing it to just two. Some gluten-free cookies don’t spread as evenly as regular cookies, so if aesthetics are important to you, taking the time to shape the dough into perfectly round balls is important. If the dough is too sticky, just remember to pop it in the fridge to firm up before rolling it between your palms. Unlike gluten-free flour blends (which are designed to mimic wheat flour), nut flours are just ground nuts without any functional ingredients. Almond flour (not to be confused with almond meal) is great for shortbreads, sandies, or thumbprint cookies that don’t need a ton of structure and are meant to be tender and crumbly. For recipes that need a bit more structure (such as chocolate chip cookies), almond flour might not be the best bet. When in doubt, research which nut flours are good for what, and remember to store them in the freezer so they don’t go bad. 10. Gluten-free cookies have a tendency to be dense, so don’t be afraid of using additional leavener. Most gluten-free cookie recipes use a bit more leavener compared to a typical cookie, and this is by design. The added lift prevents them from being dense and stodgy, an undesirable characteristic of gluten-free cookies. Most gluten-free cookie recipes will already have additional leavener in the recipe, so there’s no need to adjust — but if you’re venturing out and creating your own recipe, don’t be afraid to add more than you typically would. Because gluten-free cookies are a bit crumblier than typical cookie, they are prone to falling apart. 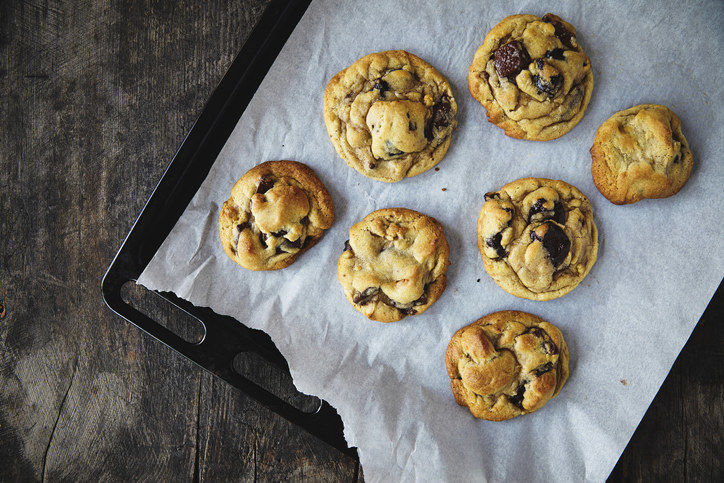 One way to help your cookies cool without damaging them is to slide the entire sheet of parchment paper or nonstick baking mat right off the tray and onto a cooling rack. This way, you don’t have to move the cookies off the mat while they are still warm and delicate. When first starting to bake gluten-free cookies, start with recipes that are already gluten-free and then venture into converting conventional cookie recipes. By starting with recipes that are already designed to be gluten-free, you guarantee your cookies will turn out perfect, and after a few successful gluten-free cookies batches, you’ll start to realize what makes the recipes different and start adopting the practices yourself.